The number of children placed in internal foster placements by Bucks County Council has increased by almost a quarter in the past year. By the end of March 2018, 125 of the county's looked after children were placed within internal foster care placements. Since then, as of 4 February 2019, 156 children were placed in Bucks County Council foster placements - an increase of around 24% on the previous year. Warren Whyte, Bucks County Council's cabinet member for children’s services said: “Buckinghamshire’s fostering team works extremely hard all year round to find safe and loving homes for children in need, and this is an absolute priority for us. "We are very pleased with the increase in our foster care placements since last year, but we are always working to improve this. “To encourage people to foster in Bucks, we have improved allowances and support over recent months. "We also have a number of recruitment and information events coming up over 2019. The county council has recently introduced new and improved weekly allowances, which means the terms offered to carers is now more closely aligned with those of independent fostering agencies. A Child and Adolescent Mental Health (CAMHS) clinical psychologist is also available to foster carers every week. They can offer support relating to the child being cared for, or help with any of the carer’s other concerns. A series of fostering events will outline information about the fostering assessment process and training available, and answer any other questions people may have. 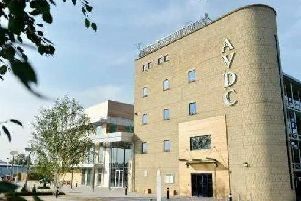 The next event will be held at County Hall in Walton Street, Aylesbury, on Wednesday February 20 between 7pm and 8.30pm. Events take place later in the year in High Wycombe (March) and Buckingham on May 29.